Here are some media resources to stretch your mind and help you investigate some issues at greater depth. If you’d like to explore an issue in greater depth, here are some high-quality mp3 talks that will challenge your thinking and aid your spiritual journey. David Benson and others: Jesus: A Woman’s Friend or Foe? David Bisgrove: What should I do with my doubts? Tim Keller: How can there be one true religion? Tim Keller: Why does a loving God send people to @#!*% ? Sometimes there is nothing better than to hear two sides of an issue, and arrive at your own conclusion. Here are some links to world-class debates on the most common spiritual questions today. Not for the faint of heart! Conversation between an Oxford professor of chemistry and a philosopher of science and religion, on the existence of God. An interview/conversation/debate for a Dawkins TV program. Fast-paced interaction between two major defenders of atheist and Christian worldviews. 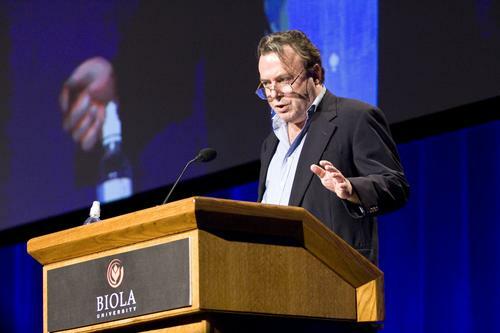 2009 debate held in California, between Hitchens, a journalist who authored God is not Great, and Craig, an analytic philosopher, author of Reasonable Faith. Transcript of the classic 1948 BBC debate.